The Season 2 finale of Celebrity Big Brother hits our screens this week on Feb. 13, and all fans are dying to know is who will win the whole thing. 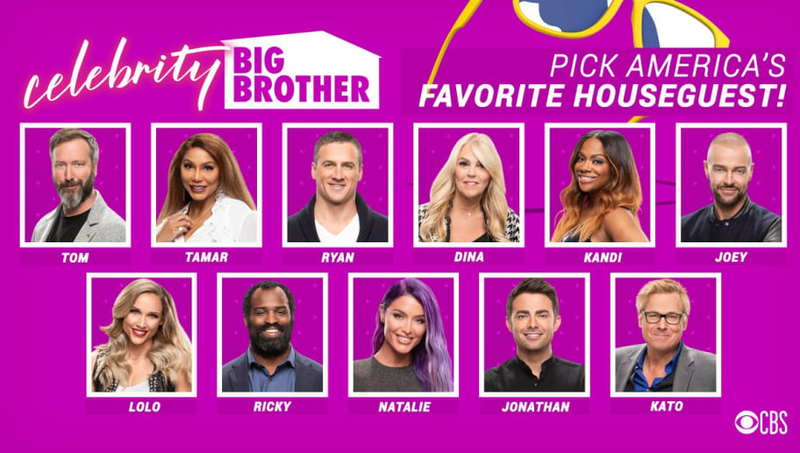 Even the show's evictees from this season are still keeping up with who's being eliminated, and a few of them have spoken to The Hollywood Reporter on what they think will happen in the finale. Former contestants Kato Kaelin and Joey Lawrence had very strong opinions on their former co-stars. When asked who has the best shot at winning, Joey stated, "Tamar might have a chance of making it to the end. She's very good at manipulating reality TV. I'm not a reality TV guy." However, Kato had a different take. "I will never vote for Tamar! She's the last person I'm going to vote for," he stated. To Joey's defense, he did explain previously, "I don't like personal insults, f-bombs, screaming at each other and slamming fists on tables. It's embarrassing." And when asked if they'd return again, Joey had a straight answer: " No! I'm grateful for the opportunity, but I'd much rather play characters on TV than myself personally locked in a box with people I don't know." As for who they want to see in a future season, Kato shared, "Bill Maher would be so great in there — he is so full of truth and honesty — and Charlie Sheen."